A funeral home has come under investigation after reportedly storing coffins containing bodies in a “dingy” corridor next to an old bicycle. The Sun newspaper printed photos from inside Midcounties Co-operative Funeralcare home in Walsall, West Midlands, showing three coffins stacked on shelves in a corridor with a moldy ceiling and discarded Christmas tree. The newspaper also quoted a source who claimed the bodies were left for one or two days, but on one occasion in October, a coffin remained for two weeks. It is not clear if the coffin was in use during this time. “The way they treat the dead is absolutely scandalous,” the source said. The National Association of Funeral Directors began an investigation into the allegations on Monday. Walsall South MP Valerie Vaz said she would be very concerned if the deceased are being treated without the respect their families and the public expect. The Sun quoted Jane Hughes, whose 74-year-old father John Bagby’s body was kept at the home before his funeral. “I’m sickened to the stomach [by the claims]. We were assured Dad would be looked after, so to hear this has absolutely smacked us in the face,” she said. “If this is how they store bodies then I feel shocked,” Jane’s brother John said. Rosie Inman-Cook of the Natural Death Centre charity suggested the Midcounties Co-operative revelations were just the tip of the iceberg. “If you sent reporters into every funeral directors there would be something shocking in many of them,” she said. Midcounties Co-operative said it would investigate the allegations. 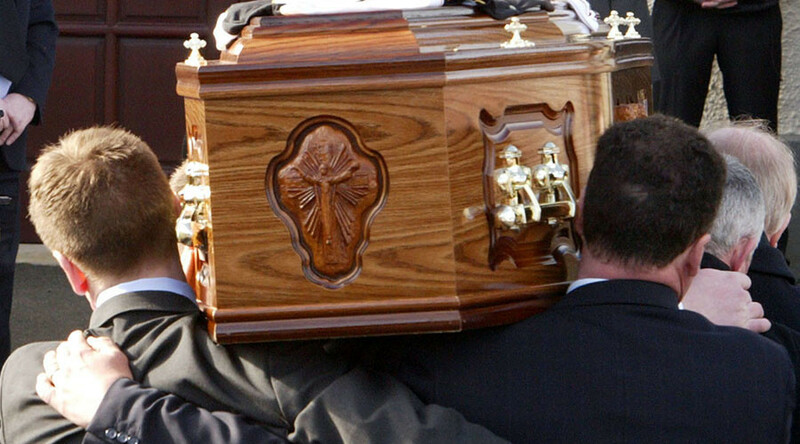 “In our Walsall funeral home, one chapel of rest is used to respectfully hold coffins. Before being transported to a funeral, coffins are moved to an adjoining designated corridor,” a spokesperson for the funeral home told the Sun. Midcounties Co-operative is not connected to the Co-op group, which also offers funeral services. The company describes itself on its website as the largest independent co-operative in the UK, employing 9,000 people and with more than 5,000 members. Midcounties Co-operative has 77 branches across the West Midlands, Oxfordshire, Swindon and Gloucestershire.